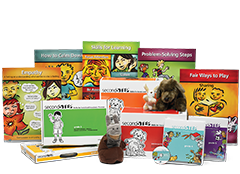 The Second Step Suite brings together the Second Step social-emotional learning program, Bullying Prevention Unit, and Child Protection Unit for Kindergarten–Grade 5 to provide a simplified approach for schools to create and sustain safe, supportive learning environments that optimize budgets and results. Our fully integrated framework effectively combines social-emotional learning with bullying prevention and child protection to form a cohesive foundation for whole-school success. 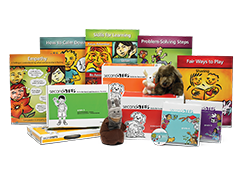 The Second Step Suite SEL program + Bullying Prevention Unit bundle provides a simplified approach for schools to create and sustain safe, supportive learning environments that optimize budgets and results. Our integrated framework effectively combines social-emotional learning with bullying prevention to form a cohesive foundation for whole-school success. 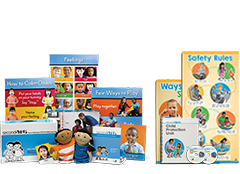 The Second Step Suite SEL program + Child Protection Unit bundle provides a simplified approach for schools to create and sustain safe, supportive learning environments that optimize budgets and results. Our integrated framework effectively combines social-emotional learning with child protection to form a cohesive foundation for whole-school success. Together these programs help improve behavior, build a positive school environment, and address safety—all while creating lasting results for children and communities. Together, the Second Step Early Learning Program and Early Learning Child Protection Unit create a positive and safe learning environment for the whole child. 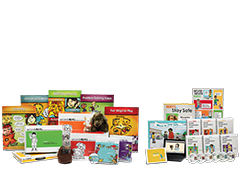 These programs bring together social-emotional learning, executive function, self-regulation, and child safety to foster a safe and supported learning environment for all. The preschool and elementary years bring exciting new challenges and opportunities. It’s the prime time to nurture social-emotional awareness and skills for learning. The research-based Second Step program for Early Learning–Grade 5 includes everything needed to make it easy for teachers to integrate social-emotional learning into their classrooms, which decreases problem behaviors and increases whole-school success by promoting self-regulation, safety, and support. 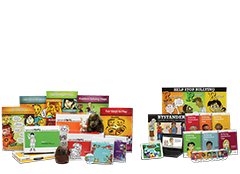 The Second Step Kindergarten–Grade 5 bundle with Principal Toolkit allows educators to reinforce social-emotional skills schoolwide. With the Principal Toolkit, social-emotional learning moves beyond the classroom as staff use assembly and announcement scripts, staff meeting agendas, and other tools to reinforce skills and encourage positive behavior. 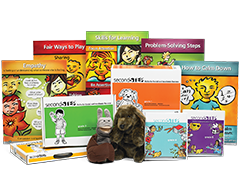 Back in the classroom, the evidence-based Second Step lessons promote self-regulation, emotion management, problem solving, and responsible decision-making. 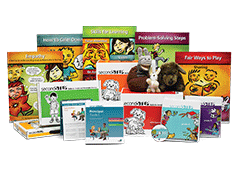 This bundle contains one classroom kit for each grade from K–5, plus one copy of the Principal Toolkit. The elementary years bring exciting new challenges and opportunities. It’s the prime time to nurture social-emotional awareness and skills for learning. 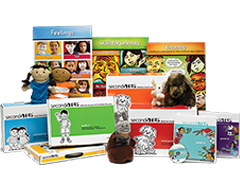 The evidence-based Second Step Kindergarten–Grade 5 bundle includes everything needed to make it easy for teachers to integrate social-emotional learning (SEL) into their classrooms, which decreases problem behaviors and increases whole-school success by promoting self-regulation, safety, and support. The elementary years bring exciting new challenges and opportunities. It’s the prime time to nurture social-emotional awareness and skills for learning. The evidence-based Second Step Program for Grades 1–5 includes everything needed to make it easy for teachers to integrate social-emotional learning into their classrooms, which decreases problem behaviors and increases whole-school success by promoting self-regulation, safety, and support. 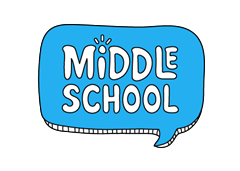 The Second Step Middle School Program is modern, web-based, and responsive to the needs of today’s students and educators. With an easy-to-use interface, a full complement of nearly 200 advisory activities to reinforce weekly lessons, and online professional learning, the program has everything educators need to help their students succeed socially, emotionally, and academically. You’ll need to designate a setup administrator, who will assign the school and license administrator for each license you purchase. We’ll need their name and email address. Contact us to renew your current licenses. Online renewal is currently unavailable. Research-based bullying prevention taught in the Second Step Program that teachers know and students love. Set a foundation for social and academic success by teaching the Second Step Program. 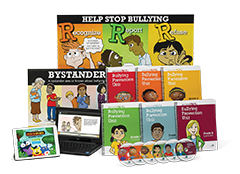 Then build on those fundamentals with the Bullying Prevention Unit for grades K–5, with training for all school staff and lessons for students.